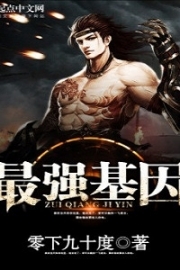 You’re reading novel Chaotic Sword God Chapter 515 - A Visit From Elders Feng and Yun online at LightNovelFree.com. Please use the follow button to get notification about the latest chapter next time when you visit LightNovelFree.com. Use F11 button to read novel in full-screen(PC only). Drop by anytime you want to read free – fast – latest novel. It’s great if you could leave a comment, share your opinion about the new chapters, new novel with others on the internet. We’ll do our best to bring you the finest, latest novel everyday. Enjoy! The situation for the Changyang clan in the Gesun Kingdom was far different than before. The opening ceremony was extremely magnificent, and every single major party within the kingdom had been invited — even the Hua Yun Sect that had caused trouble for the Changyang clan had been no exception. No one that had received an invitation had declined it. On the very first day after the invitations were sent out, plenty of people had already shown up to Lore City. These people were all the strongest representatives of their respective clans or families, and they were here to pay respect to the honorable Changyang Clan. As a side mission, they were trying their best to show the friendliest of intentions to them. This time, the inhabitants of the Gesun Kingdom weren’t the only ones that knew about the trek of the Qinhuang Kingdom and Gesun Kingdom to the Heavenly Eagle Kingdom. All of the surrounding kingdoms had gained knowledge of the information as well. It stirred a giant wave of attention from even the more influential factions. Even the movement of the Eastern Deity Swords had been investigated before everyone had made a startling conclusion. The reason why the Qinhuang Kingdom was helping the Gesun Kingdom was because of the Changyang clan. Therefore, even people who hadn’t been invited to the opening ceremony of the Changyang clan showed up alongside the ones that had with plenty of precious gifts to present to the clan. All sorts of n.o.bles showed up to Lore City, giving every single inn within the city to reach an all time high of prosperity in the history of their business. Some inns had completely filled up within a single day, forcing several mercenaries to have no choice but to camp in the city outskirts. The guests who had arrived late all had a look of helplessness when they saw the jampacked inns. In the end, they had to take a leaf from the mercenaries’ book and set up a camp in an open clearing with feelings of injustice. The amount of people coming to congratulate them caused the entire Changyang clan to be taken back, but under the careful arrangements of Chang Bai, he was able to expand the entire banquet out onto the surrounding streets. There were now well over a thousand tables, and every single chef from Lore City had been hired to help. Three days later, the Changyang clan’s banquet finally started, but the ceremonial host was Changyang Ba while Jian Chen himself was hidden from sight. This led many people, that were looking forward to seeing Jian Chen, to feel disappointed. The ceremony for the opening of the manor had been grand, but it did not last for long. After a single day, it was over. On the second day, every single person visiting had left one after another. After the ceremony ended, the people of the Changyang clan finally began to officially move in and recruit some more guards. Although the Changyang clan was well known without anyone in the Gesun Kingdom daring to go against them, there was still plenty of work to do. Within the center of the newly constructed Changyang clan, there was a magnificent hall created for Jian Chen, which had been proposed by the elders of the clan. This would be a place meant specifically for Jian Chen to use, and not only was the exterior magnificent, the interior design and decorations were splendid. At this moment, Jian Chen, You Yue, Ming Dong, Qin Ji, Dugu Feng, Yun Zheng, and Senior An were all gathered around a round table. “What? Elders Yun and Feng!” Jian Chen was startled. Those two elders were from the Huang family, but he never would have thought that the two of them would have taken the initiative to look for him. “Could they be here for the Saint Ruler’s skeleton?” Jian Chen couldn’t help but think with a dark expression. “Jian Chen. Who are these two elders? Are they friend or foe?” Ming Dong asked. Jian Chen hesitated before saying, “Acquaintances from the past. If everyone could sit here for now, I will take my leave first.” With that, Jian Chen immediately left the room to walk to the gates of Changyang Manor where the two elders, Feng and Yun, were waiting. The two of them displayed gentle smiles and gave off the feeling of amiable and friendly people. “Seniors, what wind has brought you two here to my home today? This one is truly surprised.” Jian Chen cupped his hands together with a smile to greet the two. “Haha, fourth master, perhaps, are we not welcome to pay a visit here?” Elder Feng cupped his hands in return. Using the t.i.tle ‘fourth master’ instead of Jian Chen was a sign of speaking to Jian Chen with his proper t.i.tle. “Seniors are definitely welcome, please, come in.” Jian Chen smiled cordially and led the two elders into the manor. Hearing this, Jian Chen’s eyes flashed with a gleam of light. He hadn’t thought that the Huang family would be able to find out that he was the Imperial Protector of the Qinhuang Kingdom so fast. “Haha, fourth master. We are here because our patriarch wishes to invite you to serve as an honored guest at our Huang family.” Elder Feng smiled. “You wish for me to be a guest at your Huang family? There are no social ties between your Huang family and I.” Jian Chen was suspicious. “Haha, fourth master, it is our patriarch that invited you. Whatever reason there might be, the two of us do not know. The fourth master just needs to understand that our Huang family bears no ill will toward you.” Elder Feng spoke. “Correct, it is the young miss, Huang Luan. Fourth master, our young miss has been missing you quite so for these past few suns. If you come to our Huang family, please come see her as well.” Elder Yun sighed with a complicated expression on his face. “Go now? That quickly?” Jian Chen was stunned. An hour later, Jian Chen had said goodbye to everyone and followed the two elders away from the Changyang Manor. Along with the three, Xiao Tian, Qing Shaofan, Cao Keqin, Dongyi Junbai, and Tian Luo all came with Jian Chen. Taking the five of them to the Huang family had been Qin Ji’s idea. When Qin Ji had heard that Jian Chen was going to the Huang family, he had immediately worried for Jian Chen’s safety. He had been adamant that Jian Chen bring five Imperial Advisors with him. In the end, Jian Chen had no other choice but to agree to Qin Ji’s request. Taking five of the most trusted Imperial Advisors to serve as a way to show off prestige. It was only 30,000 kilometers from the Gesun Kingdom to the Huang family. Jian Chen and the five Imperial Advisors only needed a single day and night to follow the two elders before finally arriving at their home. The Huang family was a family-based power that was located on top of a beautiful and spiritually rich mountain. From the moment Jian Chen and the others descended down, they could see plenty of buildings littering the mountains. As they drew near, two Heaven Saint Masters flew up from the compound and stopped right in front of the two elders Yun and Feng. These two middle-aged men were tall and st.u.r.dy with doughty faces. Their tiger eyes gleamed brilliantly and hid a tremendous amount of power within them. Jian Chen sized up the two men in front of him. From just how much power they exuded, Jian Chen guessed that these two men were at the very least Fourth Cycle Heaven Saint Masters. “So it’s elder Feng and elder Yun.” The two men cupped their hands toward the elder before their eyes turned to stare at Jian Chen and the five Imperial Advisors. “This one is Jian Chen. I wish the two elders good health.” Jian Chen put on a faint smile and cupped his hands together. The other five Imperial Advisors bowed as well with their hands cupped together, but they remained silent. You're reading novel Chaotic Sword God Chapter 515 - A Visit From Elders Feng and Yun online at LightNovelFree.com. You can use the follow function to bookmark your favorite novel ( Only for registered users ). If you find any errors ( broken links, can't load photos, etc.. ), Please let us know so we can fix it as soon as possible. And when you start a conversation or debate about a certain topic with other people, please do not offend them just because you don't like their opinions. You're reading Chaotic Sword God Chapter 515 - A Visit From Elders Feng and Yun. This novel has been translated by Updating. 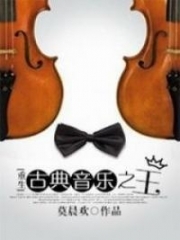 Author: Xin Xing Xiao Yao already has 11345 views. Current Time is Apr-22-2019 18:43:14 PM.